This last job Pappa worked on was a Safeway holiday ad. 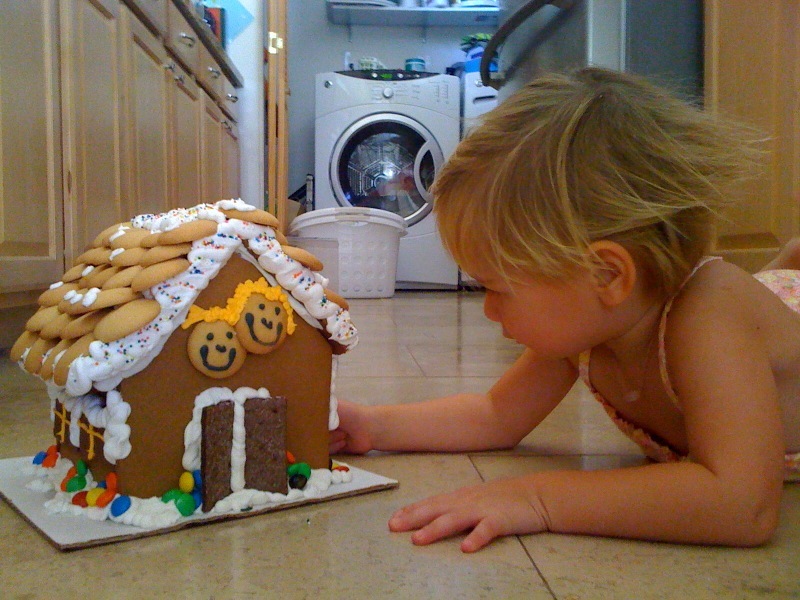 The food stylists were so enamoured with P they sent Pappa home with a gingerbread house for her. OMG! (ya know my deal on sugar) The house was incredibly cool. HOWEVER, every time I ask her what she wants to eat now, P says “cookie”! ….because Pappa gave her a piece of roof this morning before breakfast. So, I text the hubby today “you bring home sugar house I show P the Tiffany’s catalog”. It was a cool house. I think we’ll have to make one over Christmas.